WHY CHOOSE KIRN FAMILY EYE CARE? 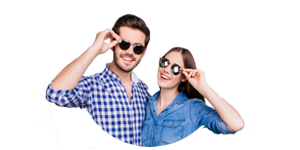 Our doctors are a husband/wife team committed to providing the highest level of eye health and vision care. Our experienced eye doctors offer comprehensive vision examinations and specialize in the diagnosis and treatment of a wide array of eye diseases and conditions that if detected early, may be managable. And our professional staff are there for you every step of the way.